Andy McKoski opened Tin Lizzy’s Cantina with college buddies Chris Hadermann, John Piemonte, and Mike Evertsen in 2005. Eight years and 12 stores later, McKoski sold his stake in the business and moved to the beach. He settled along route 30A in Florida’s panhandle and fell in love with the community of Grayton Beach, eventually opening a casual beachy restaurant called Chiringo. 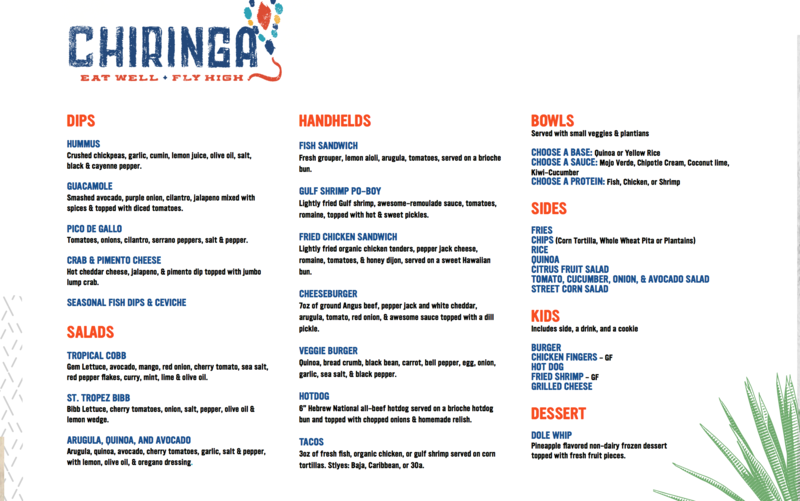 “Chiringo was inspired by a trip I took to Southern Spain, where they have all of these [casual] beach bars called chiringitos,” McKoski says. Now, McKoski is making his way back to Georgia with the opening of Chiringo’s sister concept, Chiringa. It’s set to launch in the new Alpharetta City Center on August 20. “One of my favorite chiringitos was at the [one of the top] kiteboarding spots in the world, and ‘chiringa’ means ‘kite’ in the Caribbean,” McKoski explains. The concept of Chiringa will be similar to that of Chiringo in that it will feature fresh seafood, organic or grass-fed meats, and cocktails made with juice squeezed in-house, but the menus will not be exactly the same. Expect fish sandwiches, simple salads, a hot dog, and gluten-free fried shrimp, oysters, and chicken fingers. 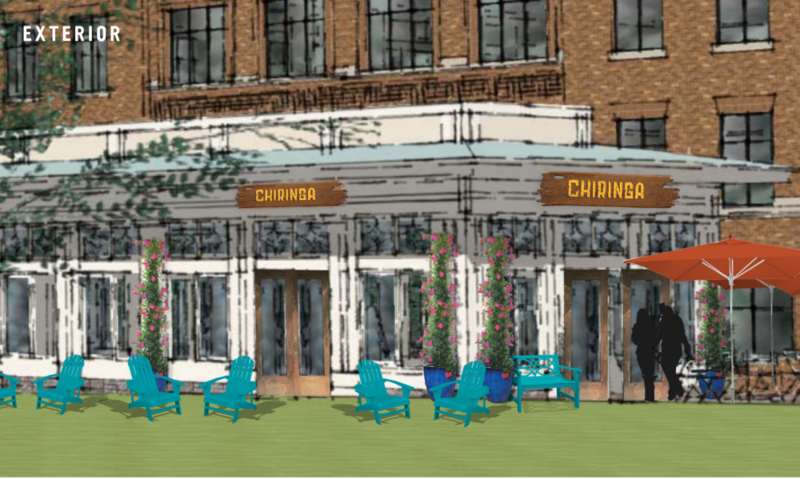 Chiringa will offer counter service and seating for 100 diners, including on the patio. 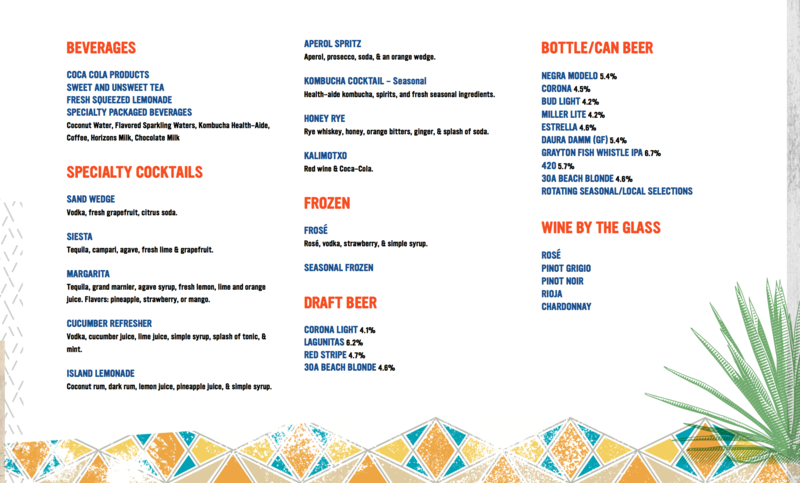 Staff members will circulate the restaurant refilling drinks, so customers can order additional craft beers, wine, and cocktails without getting up. At less than 2,000 square feet, Chiringa will be decorated in vibrant colors, including blue to emulate the ocean. 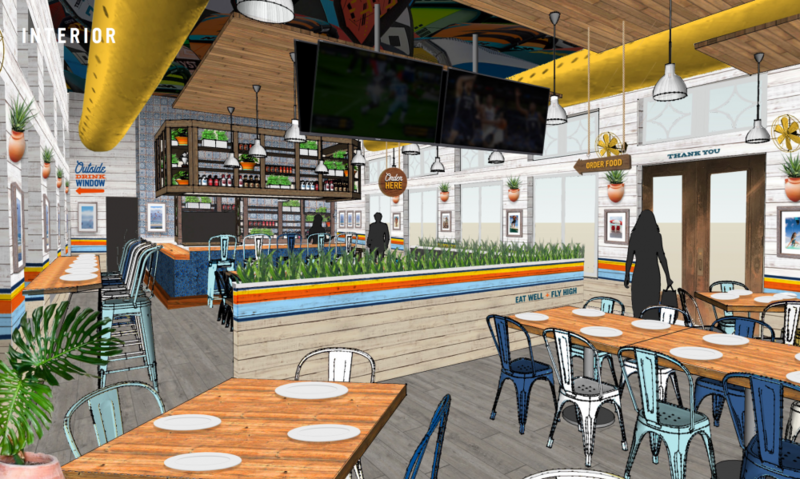 There will be a tile bar, kites on the ceiling, and pine tables with eclectic chairs. “When you’re in the dining room, we want you to feel like you’re outside,” McKoski says. He plans to open additional Chiringa locations throughout the Southeast in the next five years.